The latest financial report coming from TSMC reveals that the Taiwanese company experienced some revenue problems in the first half of 2018 due to the crypto market depreciation, but the foundries are expecting substantial profits in the second half over great demand for next gen GPUs and mobile chips. 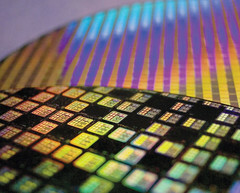 TSMC’s foundries are responsible for many memory chips, SoCs and GPUs released in consumer products these days. This year, the Taiwanese foundries made the jump to the 7 nm manufacturing process, which prompted many chip makers like AMD, Apple, Huawei, Qualcomm and Micron to order in the next gen processors/memory modules. Even Nvidia is ordering the next gen GTX 11 series through TSMC, although these GPUs are using the 12 nm process. DigiTimes reports that all these orders will bring TSMC record revenues for 2018: “TSMC’s revenues are expected to increase at a moderate pace sequentially in the third quarter before reaching an all-time high in the fourth quarter, the sources indicated.” Regarding the green team’s contribution to TSMC’s increased earnings, DigiTimes informs that “shipments for Nvidia’s new-generation GPUs will play another driver of TSMC’s revenue growth in the fourth quarter”. Later this year, TSMC is also expected to refine the 7 nm process, while 2019 will bring the 5 nm stepping into focus. Samsung is also intending to make the jump to the 5 nm process next year, while Global Foundries seems less preferred to TSMC nowadays.